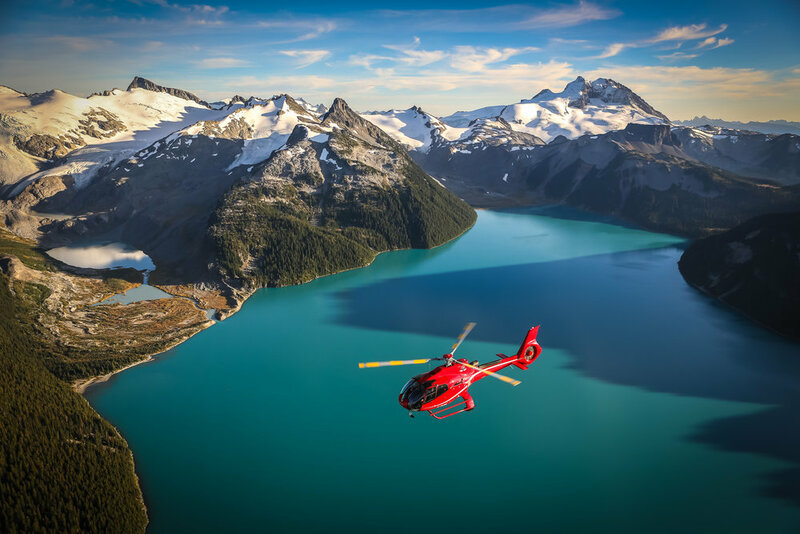 This tour gives you an extraordinary bird’s eye view of the Whistler-Blackcomb Resort followed by the magnificent beauty of the Cheakamus Glacier and a unique immersion in the famous Garibaldi Provincial Park. After this stunning adventure, the helicopter will land for you to experience the once in a lifetime chance of stepping out onto a 12,000-year-old glacier on Rainbow Mountain. Please call or email if you don't see your preferred time available. All tours and adventures are subject to weather, availability of aircraft, and civil emergencies. Minimum 2 passengers required to confirm tour, we will match up guests to confirm. Reservations cancelled within 24 hours will be assessed a 100% cancellation fee. Cancellations due to weather, no charges will apply. Free shuttle available from Whistler Village to the Whistler Heliport for up to 14 passengers. Custom tours available upon request. Prices may vary depending on destination & are subject to change without notice.